to enable best practice transfer to take place within a local network of professionals. A summary of the main collaborations and partnerships in which we are involved is summarised in the following paragraphs. The Head Teachers meet six times a year at different school each time. The focus is on sharing knowledge and expertise, presenting a united front to issues that can affect all schools, strategic thinking and supporting pupils and staff through joint activities. We also plan an 'Away-Day' once a year where we often visit other schools as part of a more in-depth focus on one area. Previous examples have included Pupil Premium and Vulnerable Learners, Creativity, Assessment and developing the cluster group. Different subject leaders meet two or three times a year with a focus on developing collaborative activities for pupils. We also have a Business Manager / Finance Officer and Admin Officer group. There is still potential to develop these further, current ideas include Teaching Assistant and Governor groups. 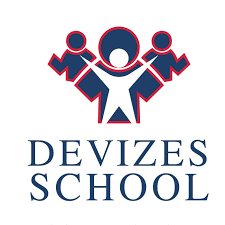 The vast majority of our pupils move onto Devizes Secondary School at the end of year 6. Outreach takes place through enrichment activities, particularly aimed at Year 5/6 pupils. Whilst we all understand that part of the agenda is to attract future students, it does also allow us to use facilities and expertise we don't have. Examples include World News Day, Science Week, Able, Gifted and Talented days, photography as well as Remembrance Day services. The Devizes and Lavington Multi Agency Forum is held six times a year at The Trinity (our sister school). Andrew Wilson, our Executive Headteacher, Chairs the meeting which is attended by a wealth of professionals. Those attending regularly include: Educational Psychologists, Behaviour Support Teachers, Social Workers, CAMHS (Child and Adolescent Mental Health Services) Pre-School Safeguarding Leads, Special Educational Needs Co-ordinators, Headteachers and Children's Centre Managers. Claire Perry, our local MP, has also attended one of our DALMAF meetings and commented on the strength of collaboration and focus on improving outcomes for children. At DALMAF meetings professionals update each other on the services offered by their agency and identify ways forward with children who need a multi-agency approach.